This is a great opportunity for anyone who is a crockpot addict (lke my roommate). 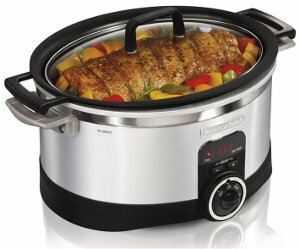 I know I'm always looking for easier ways to cook, and this cooker is awesome! It had features I've never seen in a slow cooker. PLUS, you should really follow this blog. It has so many slow cooker recipes and tips, you'll never need to go anywhere else. It also has coupons, free e-cookbooks and giveaways. What more could you want? Check it out. You'll be happy you did. HURRY! The contest entry period ends January 5, 2013!